Three of the five socks above were gifts. If you're ever unsure what to knit someone: knit them socks! 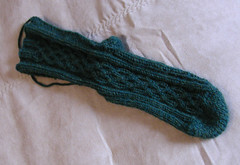 Here are my reasons: 1. they'll actually get used by the recipient (as long as they're not hippies) 2. they'll think that it's the most complicated thing you could possibly knit for them (you know their not but they can keep on thinking that for all you care) 2. knit socks fit the best (period) 3. 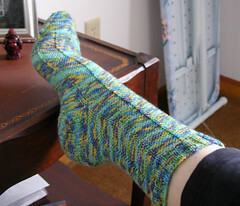 Socks are convenient for you (they're portable and can be as quick or slow as you want them to be depending on time constraints). 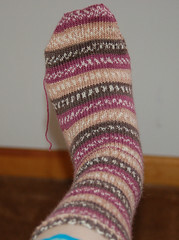 So go knit some socks, dangnamit! Already working on 'em! Ha! Your socks look great! 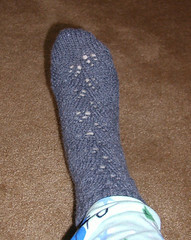 Inspired me to get my socks out and finish them.